I worked with Kristina Claytor and Allie Sberna this week using a strategy learned/modified from the Pages program at the Wexner Center. This learning activity is one I have utilized many times, and it was a pleasure to work with two patient, flexible and talented teachers trying it out with a new group of students who are learning to “look deeper” and explore thematic connections. The “product” of the strategy is the creation of a single sentence theme statement that is supported by multiple pieces of evidence from an image students have studied. Here is the image from which students gathered information. 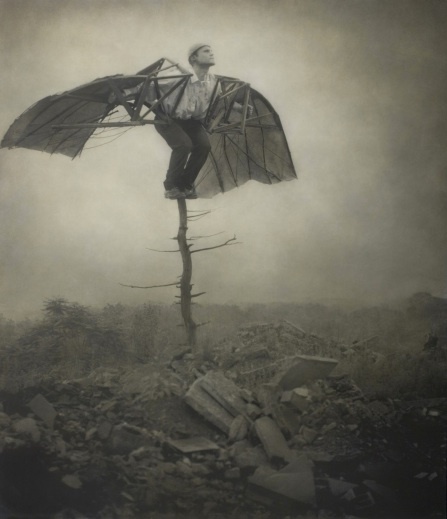 This image is from Robert and Shana ParkeHarrison. Here is a link to the original image online. I can look carefully and critically. I can contribute meaningful ideas to a collaborative conversation. I can write a theme statement that reflects a deep understanding of a theme. 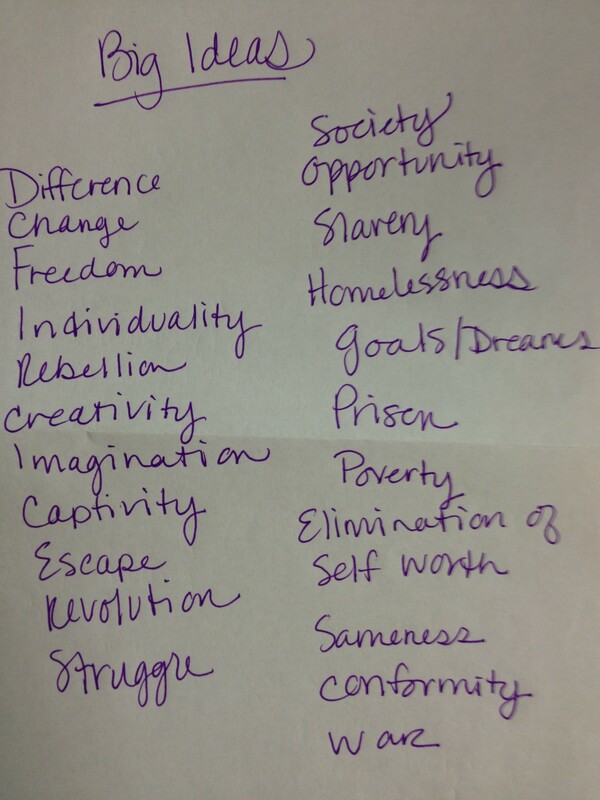 We explained a theme is one of these big ideas/topics above, plus what they think an author/artist is saying about this topic (his/her opinion). Example: Topic (Creativity) + Opinion (can require seeing/doing what others may not yet understand). So a theme statement might be: Creativity can require seeing and doing what others may not yet understand. This is a very difficult concept for students; it takes practice. They may have to look back at and revise the theme statements after the teacher collects them and gives feedback. However, this is also an essential skill for literary response. 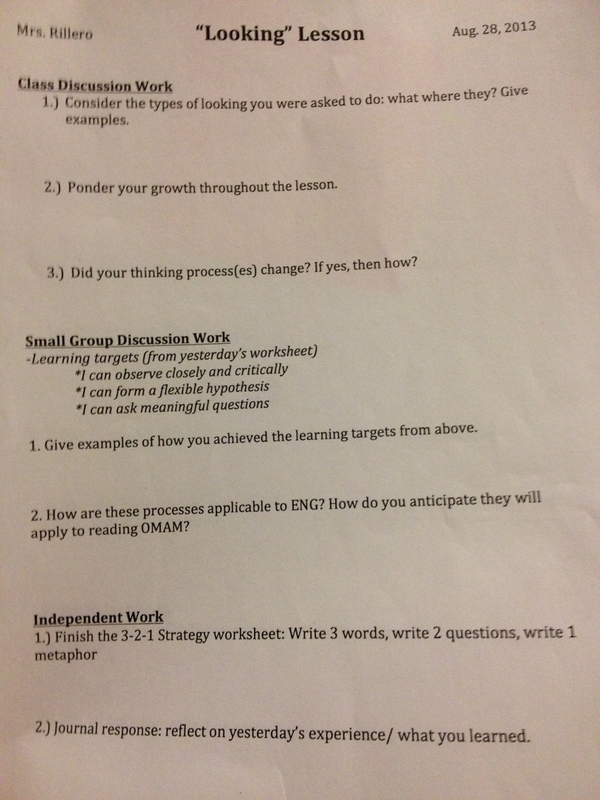 The following is a handout I have given to teachers to explain the activity step by step. I have also attached the instructions as a downloadable document at the bottom of the post. 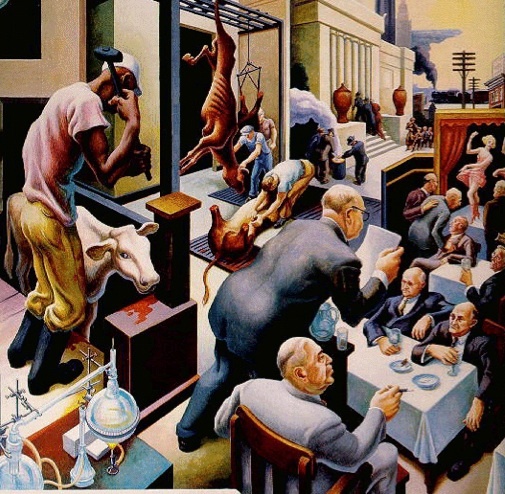 This lesson is a scaffolding tool to help students understand theme in literary works. The learning goal is to have students be able to write a “thesis statement” for what they think the piece means; they must base it on evidence they have gathered from the piece itself. This activity was modified from the 2011-2012 PAGES summer workshop for teacher-partners at the Wexner Center, and photography used to conduct the activity was created by Robert and Shana ParkHarrison from The Architect’s Brother collection. The responses she received showed students making many connections from the activity to working with texts. For example, students said such text-based skills might be “interpreting” what is not directly explained by an author, “hypothesizing” about what will happen in the future of a text, and looking for “context clues” in texts to determine meaning. Students also identified that as they continued to look closer and for longer in the activity, they were able to think of the “deeper meaning,” look more “critically” and “wonder” about more things. In addition, one student said that when he doesn’t understand something he would “ask meaningful questions” about it to help him understand. 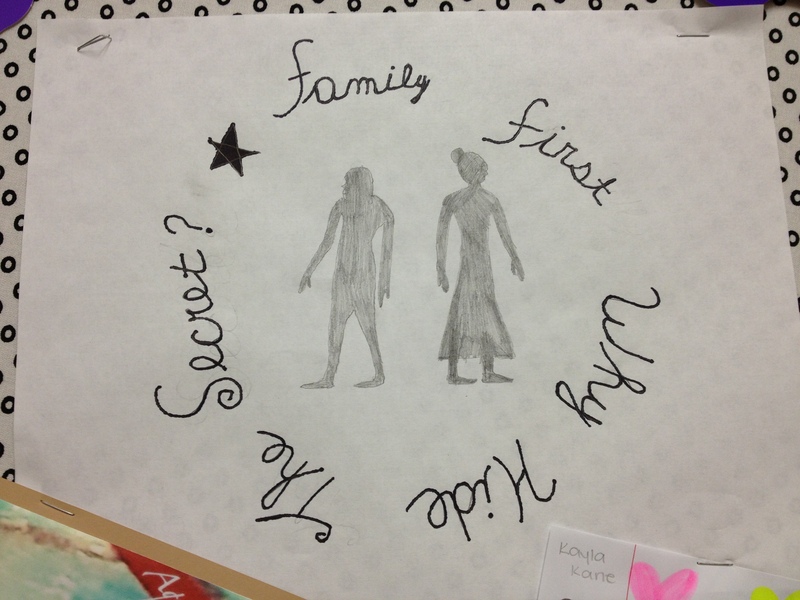 Laura followed this reflection by reading the back cover of Of Mice and Men with students and discussing what they might hypothesize the book will be about. Students made connections to Naturalism and the book cover to make predictions. Laura plans to continue to build on this activity through examining foreshadowing in the text and predicting future events with students as they read. I can observe closely and critically. I can form a flexible hypothesis. I can ask meaningful questions. These targets are similar to, and could be used as scaffolding for, close reading. In addition, the activity addresses speaking and listening skills. Laura and I worked with images instead of text, but I think this same technique is transferable to text. We also started with the 3-2-1 strategy, and students used the word “looking” to explore thinking about that concept. There are still a few bugs to work out with this strategy (we only tried it twice), so if other teachers try it, I would love to hear variations! 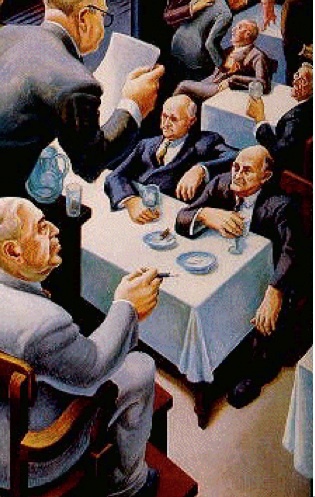 We used a piece of art from The Great Depression because Laura is introducing Of Mice and Men right now to students, and the image reinforces how individuals were disempowered (like Lenny, Crooks, Curley’s wife and others) during The Great Depression. 1. Show a piece of an image. This is ALMOST the full image. Click on the link to the complete Power Point to see the whole thing. 12. 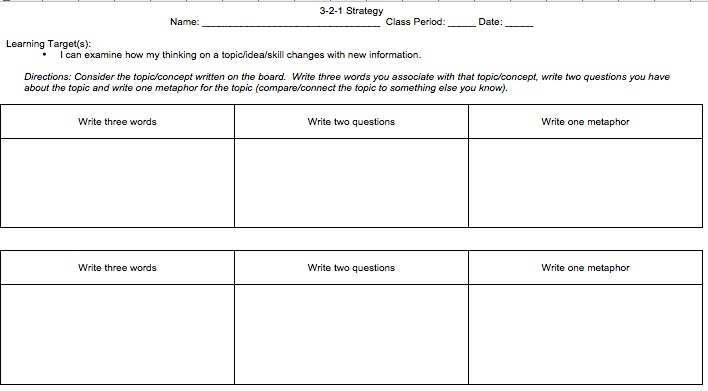 After this process, students were brought back to the 3-2-1 strategy as part of the reflection. I am going to talk more about this in the second post about the “Zoom In” strategy which Laura implemented on her own. This activity was modified from Making Thinking Visible. 3. At this point, I thought it was helpful to discuss/share student ideas before teaching the lesson, watching the video, reading the passage etc. Here is a 3 2 1 Strategy handout to give to students. Instructional coach Brian Seymour shared this application with me during a coaches meeting, and it seems VERY handy for pulling images and text from sources online. The coaches at the weekly meeting. 5. Now, you can click and drag over what you want to save. You will see a box outline the selected area, the image will be created in a seperate file which pops up and you can save it where you want! There are two things about using this application. One, if you are not able to download “Grab” let me know; I will send a Helpdesk ticket for you. Two, when I wanted to put this image on my blog, I had to “save as” a a jpeg file. It will automatically save as a tif file. If you need help trying this out, let me know. 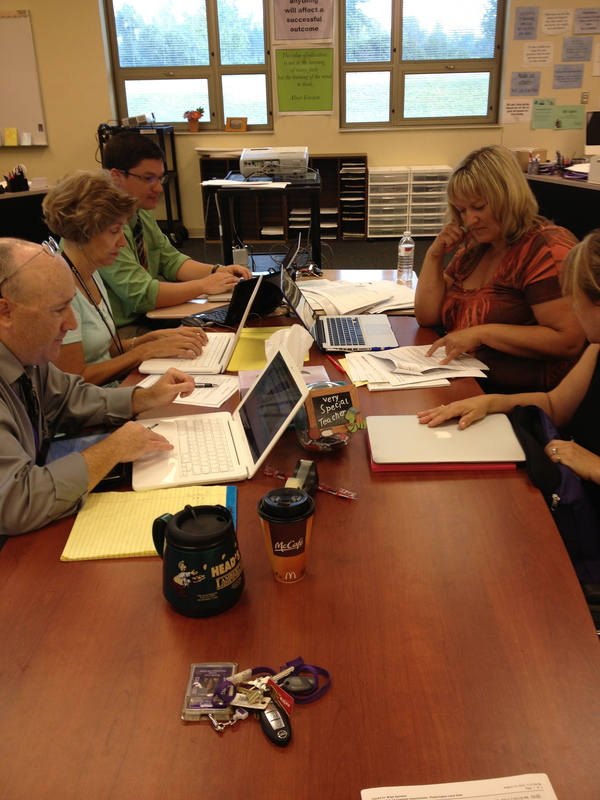 A couple of teachers used some of Sandy Juniper’s resources (I believe) to run Socratic seminars in classes. I have tried to gather some of the resources here for you to use in your own classrooms should you choose to do so. The basic idea for this version is that students come prepared having read and annotated a text, then they participate in an “inner circle” and “outer circle” role throughout the class period. Here is a picture of the set up. 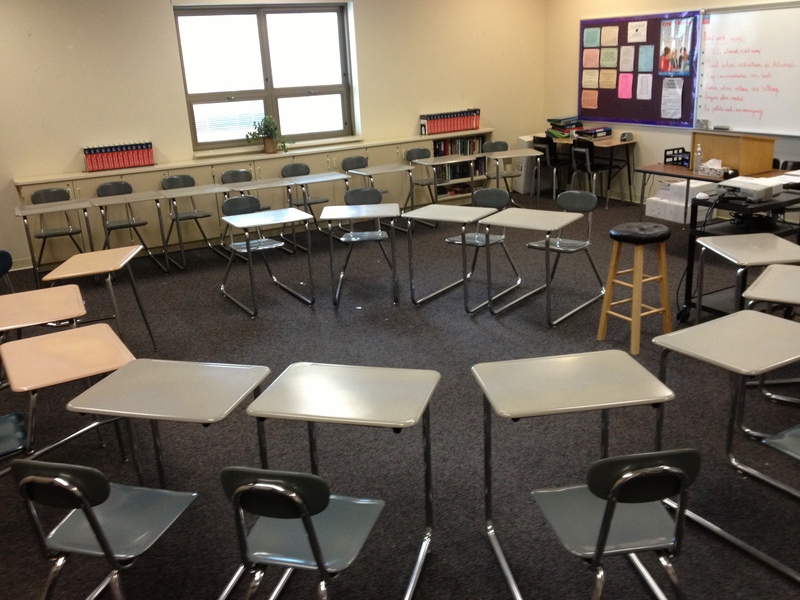 The black stool is the “hot seat” where students can choose to enter the circle to be part of the discussion temporarily. 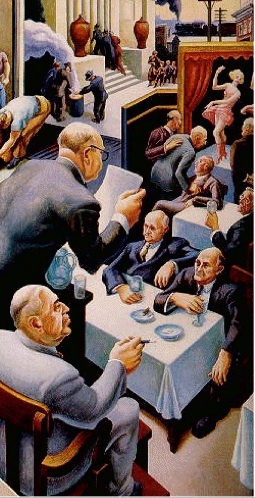 The inner circle is made of a discussion group. The outer circle keeps track of the conversation through hard copies of discussion guides. 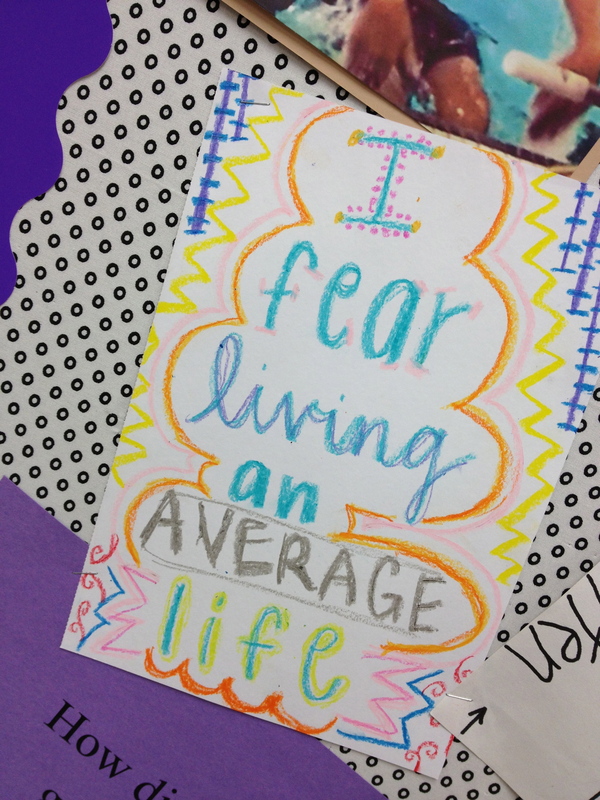 Here is one student’s example. 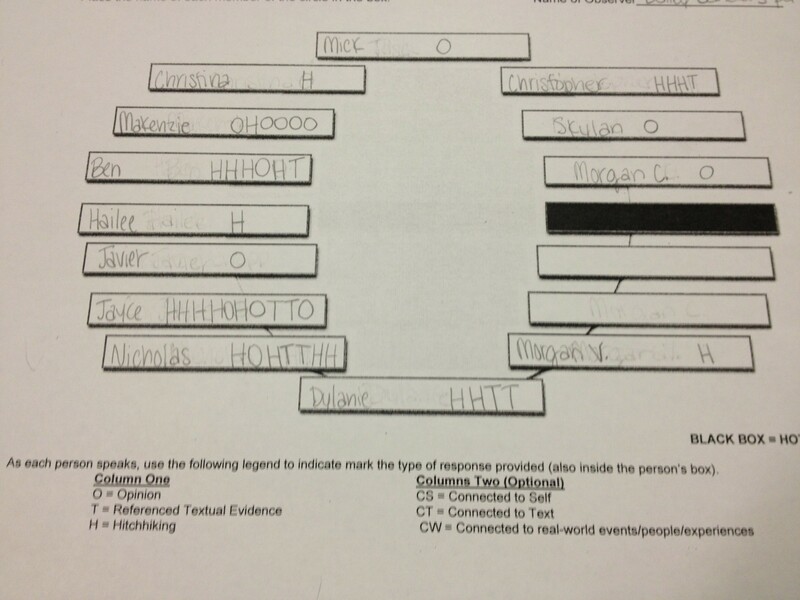 Here is an example of Melissa’s scoring. 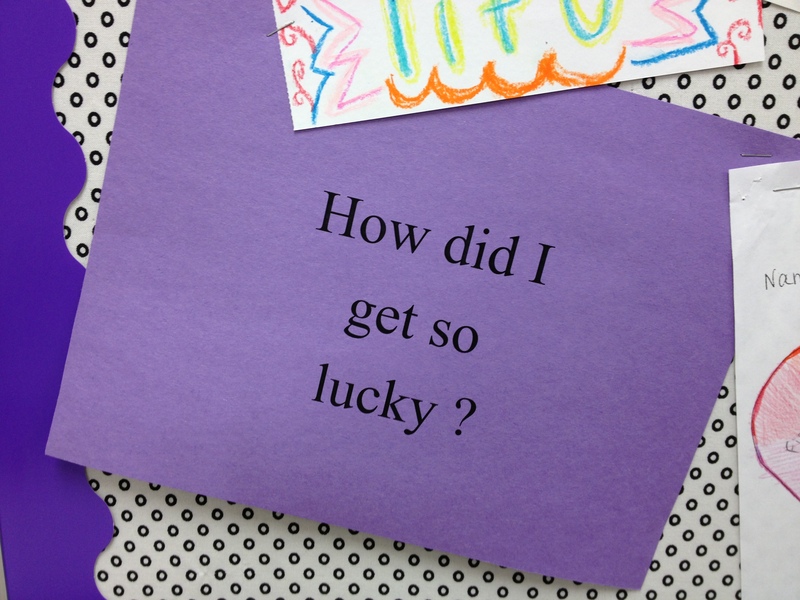 In the two versions I saw, the teacher chose the questions, but Kristina Claytor has her students write their own questions before they discuss. Also, Sam Bosse ran his seminar as one large group, and he was the only one who recorded the speaking of each member so they all could participate. This video shows a ninth grade class that is struggling with Socratic seminar. It has some really interesting ideas when it comes to students coaching one another. It also addresses the idea of “wait time” so that students can have ownership of the process. The seminar topic is the importance of poetic language which addresses a CCS. On the website with this video, there is also a handout that the teacher used beforehand to prep students for this discussion. Here is a video about a controversial topic with resources provided for teachers in the bottom right. It addresses the use of the “n-word” in Adventures of Huckleberry Finn. In this version, there are specific “roles” students play, in addition to coaching one other student. Here is one last video that focuses on more of a “debate style” and students “tap one another out” to get new people in the story. This teacher gives points for using models of “respectful language” to encourage civil discussion. Intro to Socratic Seminar includes the historical context of Socrates and his value and contributions to our modern society. It is a great introductory resource for teachers and students as it outlines types of comments for discussion and includes learning goals, both of which seem helpful starting out. 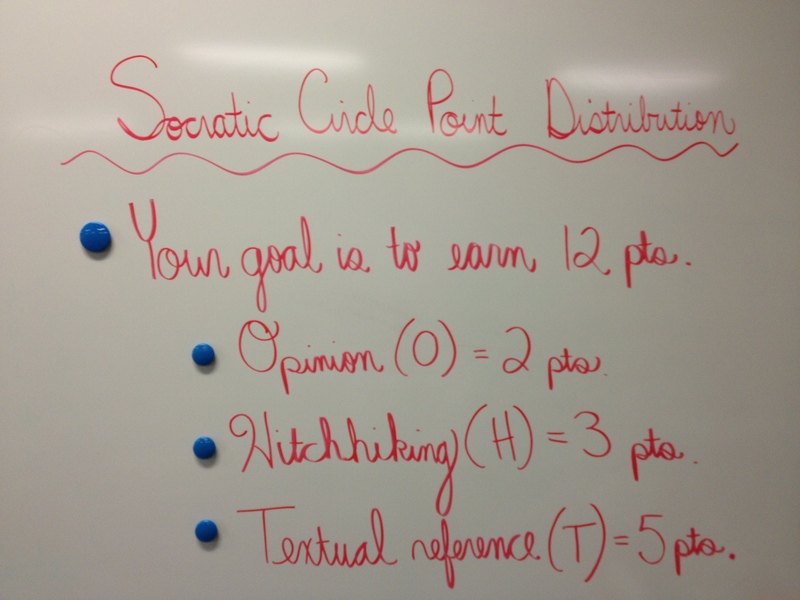 Socratic scoring can be used by teachers and peers to evaluate students. One teacher said they only have students record the “types of comments” and not “connections” or else it is too much. If you want the actual questions used to compare Fahrenheit 451 and Into the Wild, please email Sam Bosse for access to his Prezi. Her students are getting ready to start their first Thematic Studies projects where they will incorporate non-fiction, analysis of The Lord of the Flies, and public speaking skills. 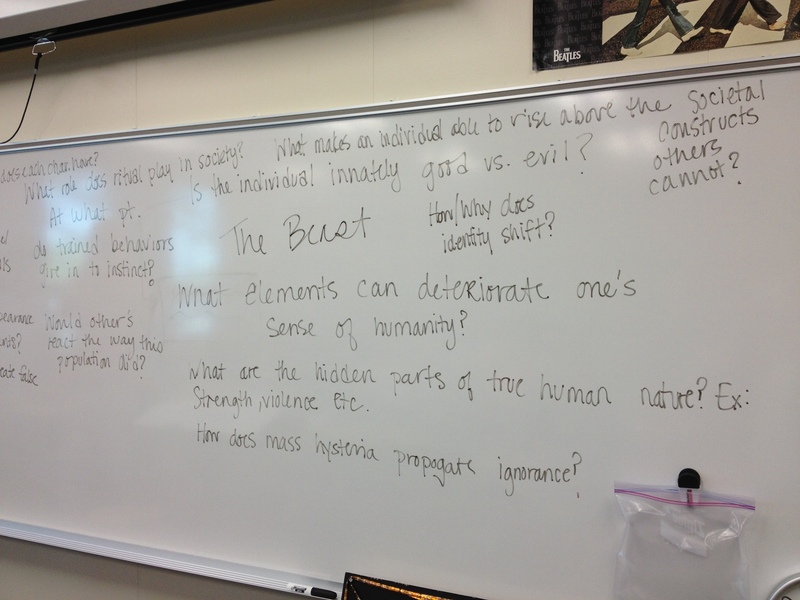 The brainstorming brought about a lot of really interesting questions to explore for the projects. 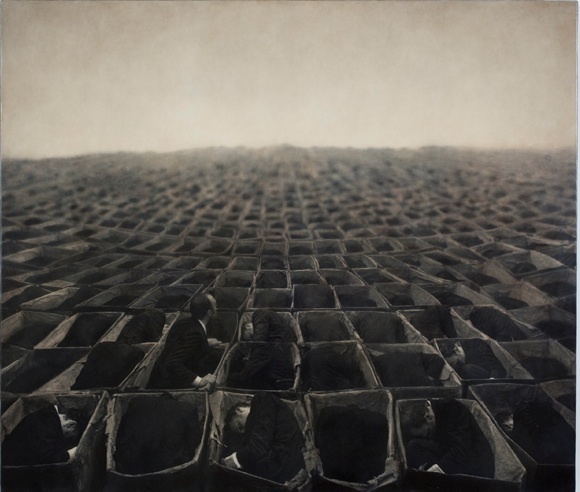 What elements can deteriorate one’s sense of humanity? What makes an individual able to rise above the social constructs others cannot? What role does ritual play in society? How does society create false realities? 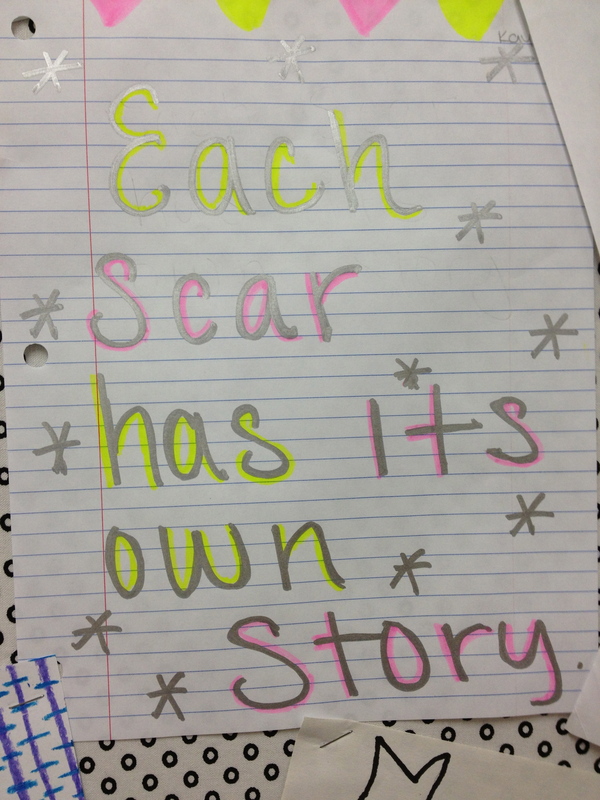 Here are some six word memoirs written by Mandy Fetty’s students. This is the official six word memoir website and here is the teen version. This NPR story has a gallery of visual six word memoirs on the left which could be used as a visual for students. You can also order the books if you like your sources in hard copy. Tim Starkey’s ninth grade class read a story without an ending that got a man’s house burned down and his children kidnapped called “The Lady or the Tiger?” by Frank Stockton. I also found this video on Youtube of someone reading the story, just in case you don’t have the gripping narrative skills he demonstrated for his students. In Leslie Harris’ class, students read a compelling poem called My Papa’s Waltz by Theodore Roethke and then analyzed the poem to see whether it was about an abusive father or a loving dance. I heard many students having genuine debate on the issue and citing evidence to support the claims they made.